Bob Weir and Wolf Bros will embark on a 20-date U.S. tour kicking off February 28 in Ithaca, NY and running through March 30 in Charleston, SC. The trio, featuring Weir, Don Was and Jay Lane, return to the road following a successful run of sold-out dates in Fall, 2018 that saw them performing the songs of Grateful Dead and more. 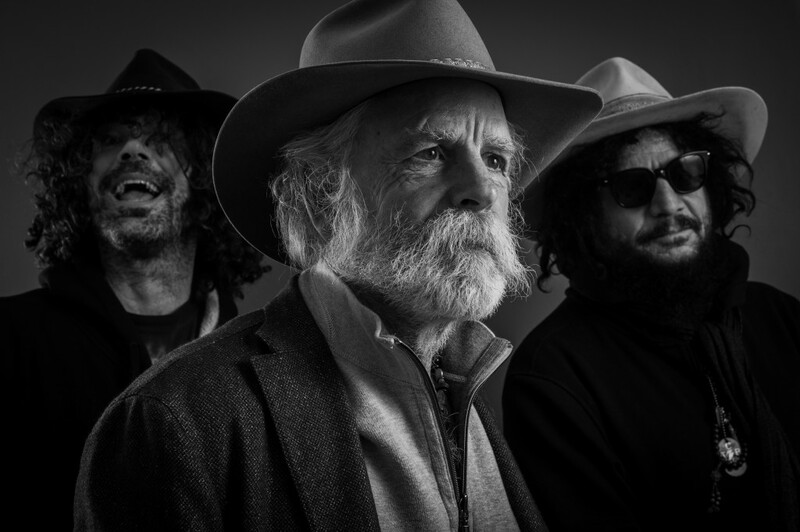 “This is more fun than a frog in a glass of milk,” Weir says of touring with Wolf Bros, “Don is all over his upright, and Jay needs to somehow be kept in line at times, but it’s all falling together nicely.” See below for a complete list of tour dates. Presale ticket access will be available for the tour through Ticketmaster Verified Fan; registration opens on Monday, January 14 at 10 a.m. EST and continues until 10 p.m. The presale will then begin Wednesday, January 16 at 10 a.m. EST through Thursday, January 17 at 10 p.m. EST. Fans can register and find additional information HERE. Additionally, the band has once again partnered with CID Entertainment to offer the Enhanced Fan Experience. This guarantees a seat in the first 10 rows, access to soundcheck, an exclusive VIP poster, premium merchandise, and a commemorative show ticket. More details HERE.